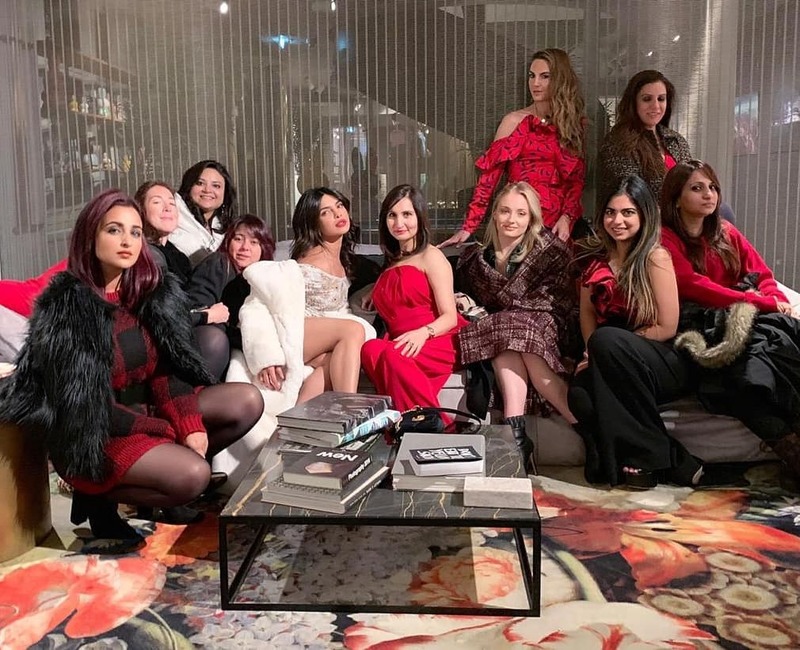 Priyanka Chopra is currently in Amsterdam having a rocking time with her girl gang as she bids farewell to her single life. The ‘Quantico’ star who is all set to tie the knot with beau Nick Jonas is hosting bachelorette party there. 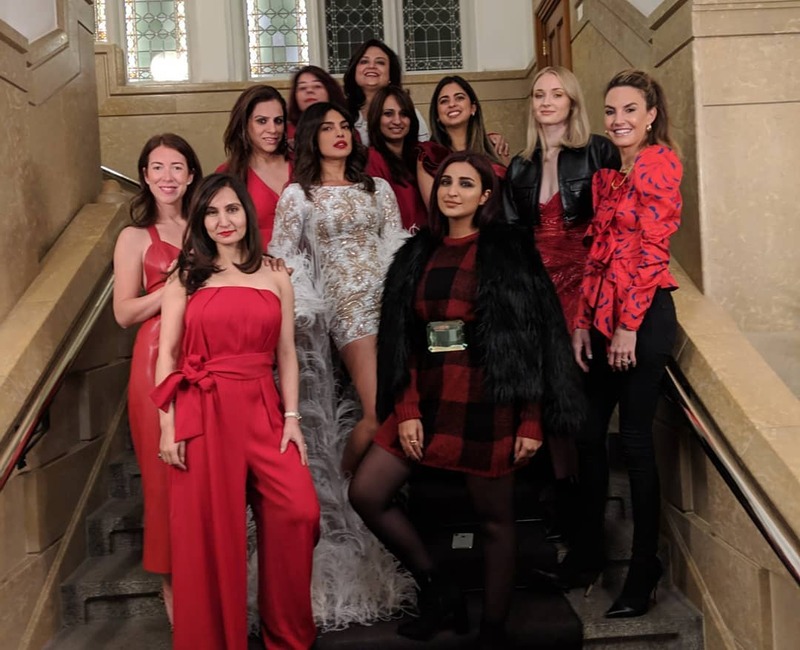 Joining PeeCee was her cousin and actress Parineeti Chopra as well as her sister-in-law and ‘Game of Thrones’ star Sophie Turner. Priyanka has been sharing videos and pictures of all the fun she is having there on her social media handle. A recent picture shared on the social media reveals that Priyanka, Sophie Turner, and her other friends also visited the Red Light District in Amsterdam. 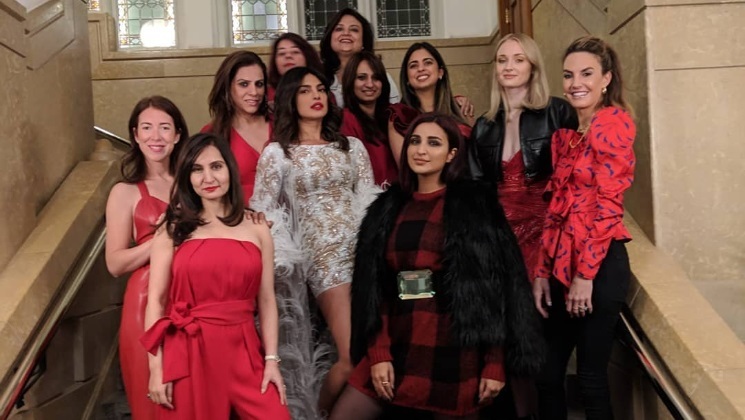 Priyanka looked like a diva in a Georges Chakra mini dress with feather detailing as she posed with her friends who were all dressed in Red and captioned the image as, Red, white and Bride!!! #Bachelorette. 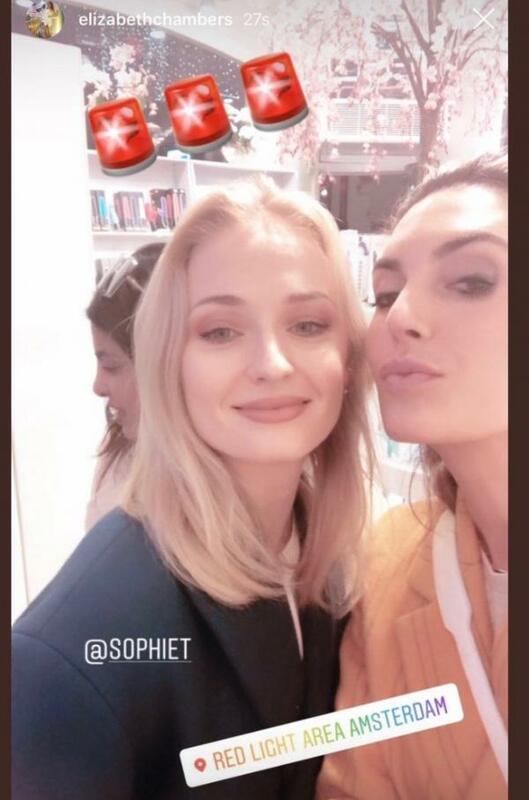 After a rocking time the Baywatch star and her soon to be sister in law Sophie Turner had a hangover and this picture of the two gives us a glimpse of how they are coping with it. Priyanka and Nick Jonas had made their relationship official with a Roka ceremony at the Diva’s Mumbai residence. Though the two have not confirmed their wedding date, they will apparently tie the knot in December in Jodhpur, in the presence of close friends and family. On the work front, PeeCee is busy with Shonali Bose’s directorial ‘The Sky Is Pink’. The movie also features Farhan Akhtar and Zaira Wasim in pivotal roles.